Apply for a grant of up to $1,000 and put the mission into action when you leave! 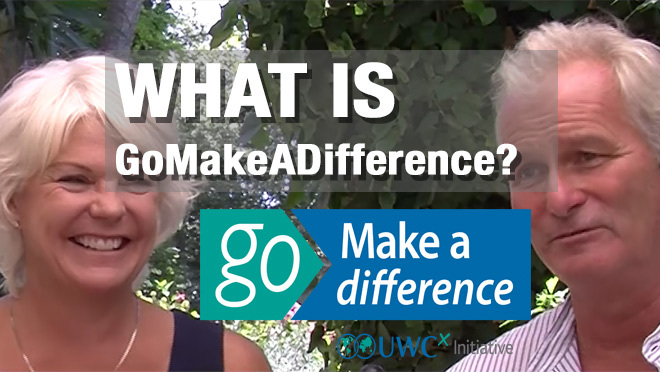 GoMakeADifference was created by Colin Habgood and his wife Jill Longson (AC81) in 2001, to provide grants to UWC Atlantic College students. The concept allowed UWC Atlantic College students an opportunity to make a difference and put into practice the ideals of UWC. In 2016, the award was rolled out to all UWC Schools and Colleges, with 20 grants of £1000 each being made available to help students make a difference. We were really pleased that in 2017, Wesley Chiu agreed to support the grant scheme. This has enabled us to increase the programme to now offer 30 awards of $1k each, allowing even more UWC students to Go Make a Difference. Wesley Chiu graduated from LPCUWC in 1995, apart from financially supporting GoMakeADifference, he would like to offer his advice for any students planning a project in China. You may contact him directly via email chiubunwesley@yahoo.com.hk. Originally from Jersey in the Channel Islands, Jill's life was transformed after attending UWC Atlantic College in Wales, as a student in 1979-81. Always staying in touch and wanting to contribute to UWC, Jill was actively involved with AC as a Board Member for 10 years and is currently Vice Chair of UWC International. Colin didn't attend a UWC, but has been so impressed with the community, the ethos of the movement and the alumni he has met over the years, that he also wanted to get involved. He became a volunteer in 2010, working with UWC new schools and colleges projects. Colin and Jill believe in the power of young people making a difference, stating, “We really want students to have the opportunity to live the ethos of UWC straight after leaving the school or college they have been studying at, allowing them to bring the mission to life. We were delighted in 2016, to roll out the GoMakeADifference grant scheme to all UWC schools and colleges. There will be a maximum of 20 grants available with up to $1,000 per project being awarded to successful students. Hopefully these grants will help students start their journey of making a difference and fulfilling living the UWC mission. We look forward to hearing how UWC students propose to use the grants in a creative and meaningful way”. Based in southern Spain, they enjoy living and supporting the UWC mission. With two dogs, Colin is an active sailor, Jill regularly plays tennis and participates in open water swimming, whilst Colin can often be found with friends on the golf course. 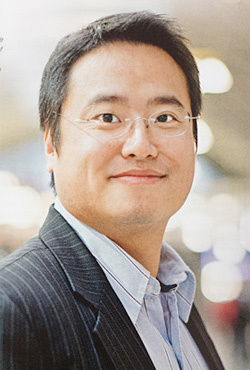 Wesley Chiu graduated from LPCUWC 1995 and is a lawyer in China. He is responsible for selection at UWC China National Committee. He also helped set up of UWC Changshu and has been serving on the school board. Wesley co-found a NGO called Project Volunteer Online in China in 2015, installing video conferencing equipment in remote village schools in China that have shortage of teachers. More than 200 volunteers around the world now are using Skype to teach students in more than 20 remote villages in China on daily basis. “My UWC experience gave me the passion to care about social issues, the intellectual curiosity to understand the social issue and the determination to make a difference. I hope more UWCers can go and make a difference.” said Wesley. Apart from financially supporting GoMakeADifference, he would like to offer his advice for any students planning a project in China. You may contact him directly via email chiubunwesley@yahoo.com.hk. The people who succeed in these hard times are those who are not afraid to fail. Go MAD made us realize our potential.